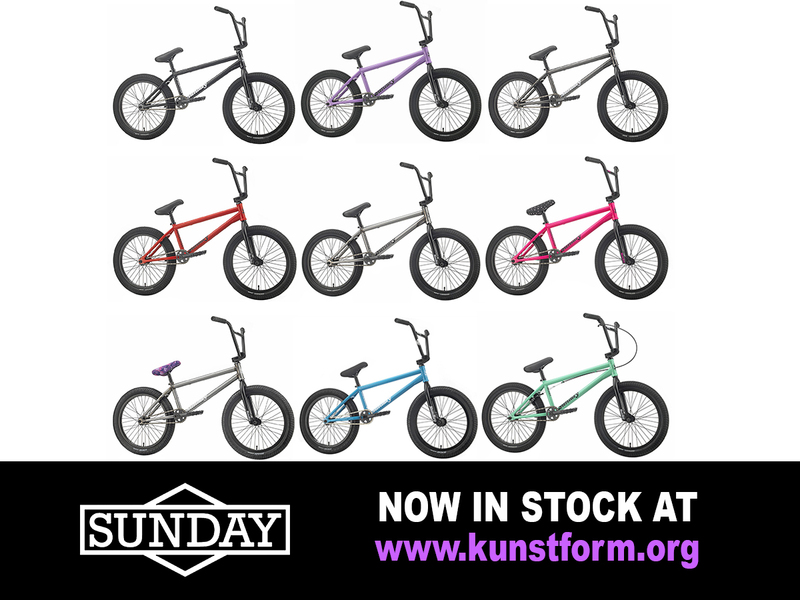 BMX Shop & Mailorder » News » BMX Shop News » Sunday Bikes 2019 - In stock! Sunday Bikes 2019 - In stock! Also now in stock, the Sunday Bikes "Street Sweeper Jake Seeley" 2019 BMX Bike in Matte Raw, which is the signature BMX bike of BMX pro Jake Seeley and comes with RHD (Right-Hand Drive) Freecoaster Hub, a 100% 4130 CrMo BMX frame, fork and 4pc bar.